Phillip Hughes believes his county stint with Middlesex will prove the perfect preparation for the Ashes. The Australian opener, whose only previous tour to England was with the New South Wales Under-17 team, compiled three County Championship centuries and insists the exposure to local pitch conditions and bowlers will serve him well ahead of the five-Test series. "I thoroughly enjoyed it and the preparation has been great," Hughes told AAP. "The big thing that came out of it was that I played at three Test grounds I'm going to be playing on and got to experience them before this big series coming up. 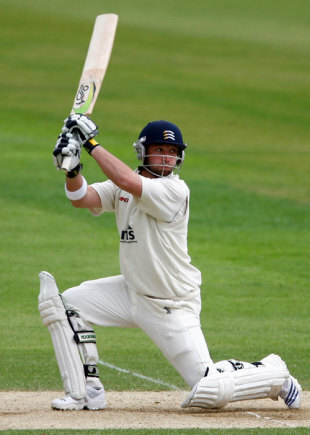 "Lord's was my home ground there for Middlesex and I played at The Oval as well and Edgbaston. It couldn't have really worked out any better. The big thing was just going over there to experience the whole different culture really, the weather, the wickets and the bowlers as well." Hughes invited comparisons with Sir Donald Bradman after scoring an astonishing 574 runs in just five first-class innings. Bradman, at the age of 21, totalled 556 runs in as many innings in 1930. "The rise to the top level has been very fast for me," Hughes said. "I'm 20 years of age and it's all happened like a bang. It is flattering [to be compared with] the world's best player and the best player anyone's ever seen." Hughes' comments came on the same day that Clark confirmed his intention to link with Gloucestershire. Both players caused controversy in March when senior England officials argued they should not be allowed to play county cricket in an Ashes year. Andrew Strauss, the England captain and recent team-mate of Hughes at Middlesex, was among those to bemoan counties providing assistance to Australian players.